I just got back from an amazing first trip to Death Valley National Park with some amazing people and I desperately want to go back. Twitter has been amazing for a lot of reasons, but mostly for it’s role in allowing a community to come together that would otherwise probably never have any contact. The weekly twitter chat #ATQA (Adventure Travel Question & Answer) has introduced me to a group of incredible people online and I’ve had the great fortune to meet quite a few of them in person. 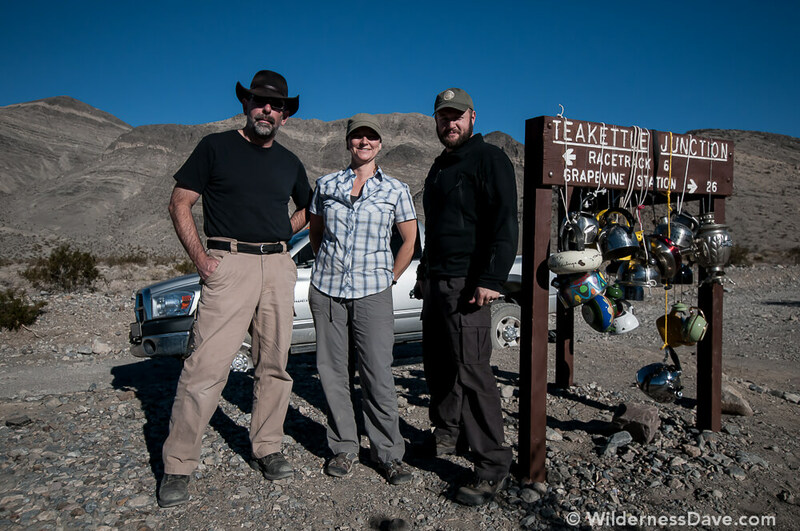 So when #ATQA host and Adventure Travel Aficionado J. Brandon started talking about a group meet up in Death Valley, I was in without hesitation. #ATQA is a pretty big community online and the weekly chats bring in a lot of participation. But when it comes down to planning a trip, very few people can make it happen. I have found this to be pretty typical with most group trip planning: lots of interest, little actual participation. Not that that’s a bad thing, fewer people is often better and easier to manage, more flexible…and fewer people to drink my whiskey! Three of us made it out to Death Valley and I could ‘t have spent my time in Death Valley with two better people. Val said it best, “…an amazing confluence of travel, people, and place”. It’s the trifecta of happiness! I have always loved to travel and I’m not the cruise-ship-resort-tourist type of traveler. I find real bliss traveling in dirty places, off the map, encountering real people and I generally enjoy the company of the people I find there. Even though we were in the California desert only a couple of hours from Las Vegas, this felt like real travel. Long bumpy drives on lonely dirt roads to obscure sign posts in the desert had something to do with that, but this really did have more to do with the people. I haven’t had this sense of ease and understanding on a trip since traveling South America with my dad. I think it’s easy to feel at home anywhere in the world, it’s rarely a “place” that makes me feel more comfortable and at ease. Although there are places that call to me, like canyons and rivers, feeling at home is much more about the people you share that place with. Those interactions and relationships are what shape an experience more so than the water, rock and sky. Traveling solo is sort of a cheat, you can be comfortable in your community of ONE. But traveling in a group, and feeling a definite sense of community and understanding is much harder to find. 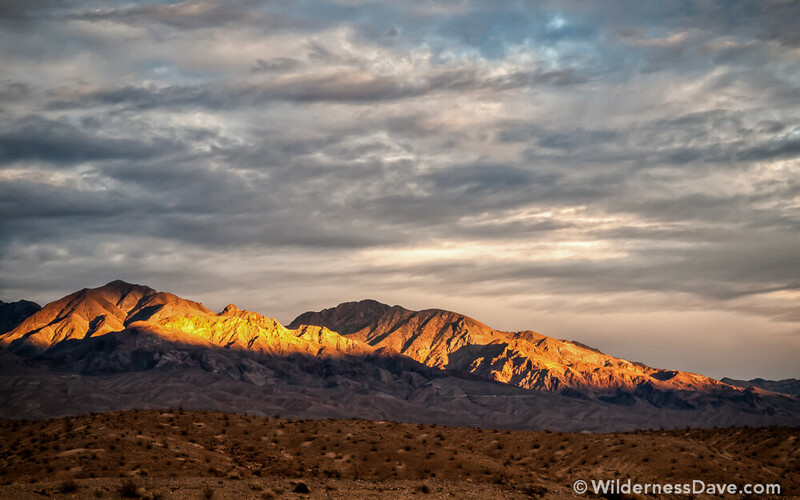 I have to thank Val and J for making Death Valley one of my new favorite places and I can’t wait to go back for more. Images from this trip are available on my gallery at WildernessDave.Photoshelter.com. Well said Dave. One of the best parts is being with folks who will let you detox & not have to be particularly chatty if you don’t feel like it. Groovy. You just sit back, relax and sip your whiskey….we all groove at our own pace. That’s not typically my groove but I have to say it worked this go-round. Cheers! Awesome trip. So glad we got to do this together. Many thanks to Dave and Val for the great company and for sharing the adventure on your blogs afterward. 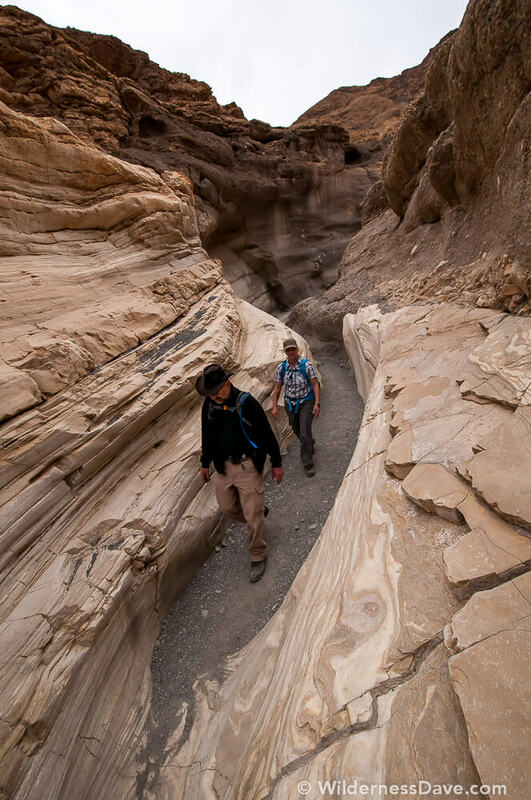 I think I didn’t realize that I had the most experience in Death Valley among our little group until we actually started heading out into the backcountry. It was a treat to share some of my favorite places with you and to see them again through your experiences. Death Valley is a huge and fantastic place. I have been there many times and always see something new every time I go. I’m ready to go again whenever you are.